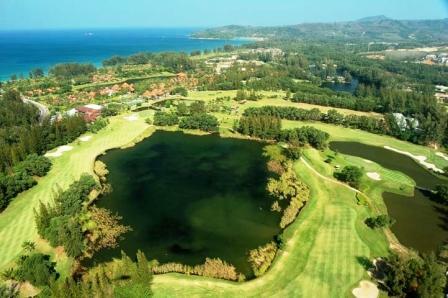 Redesigned in 2004 the Laguna Phuket Golf Club offers a challenge for every golfer on this resort based 18 hole, par 71 golf course. 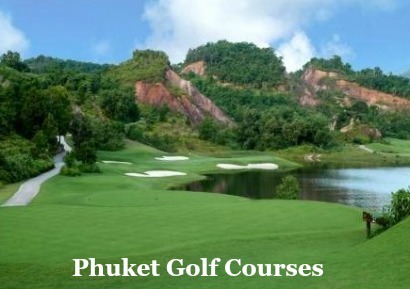 The Laguna Golf Club is located within the Laguna Resort Complex at Bang Tao beach, on the Northwest side of Phuket. This course opens itself to letting you play safe and strategic golf or give you the temptation to take that shot, by cutting the corner or carrying the water. I played this course with my son & nephews aged 11, 12 & 14, we organised a discount with the boys being juniors and also staying at the time at the Laguna Allamanda. They boys had a great time with their friendly caddies and the helpful staff. We started out with around 25 balls, all was going well until we hit a few water holes with the island green on the 9th taking its toll. This was only the start as most of the water comes into play on the back nine, by the time we had reached half way into the back nine the boys were searching for lost balls to finish the round. The challenging 17th hole just about finished the boys off; this monster par 5 of 612 yards is one of the longest in Thailand. With water coming into play off the tee and with your lay up approach, usually still leaving a long shot into the generous green, an excellent challenge towards the end of a round. Check the LPGC website as depending on when you visit they offer discounts for guests staying in the Laguna Complex. At the time of writing a 20% visitor discount was available if booking online.